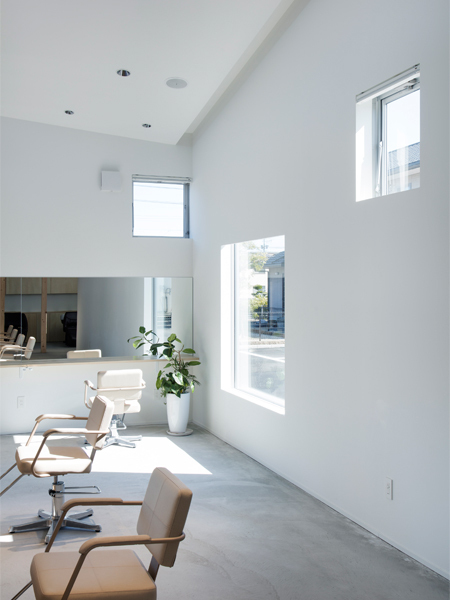 The hair salon is located in a residential neighborhood near Yokkaichi Station where industrial factories are scattered around the area creating vivid contrast in ordinary suburban scenery. 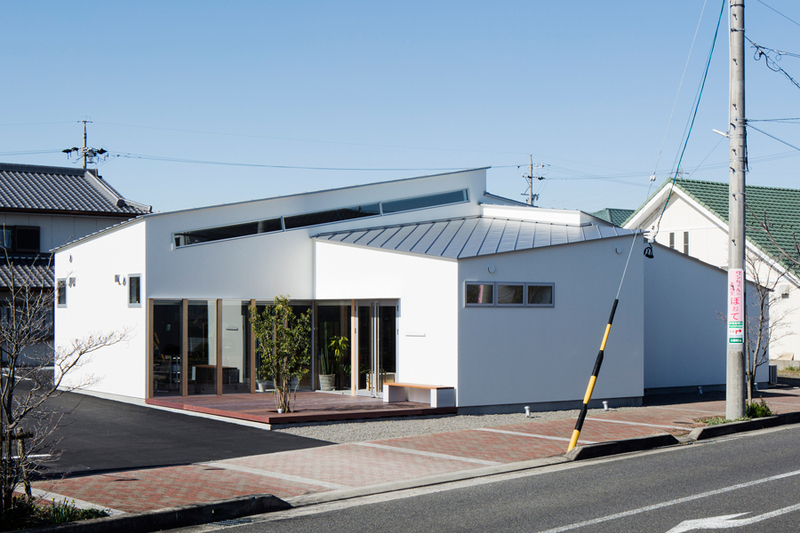 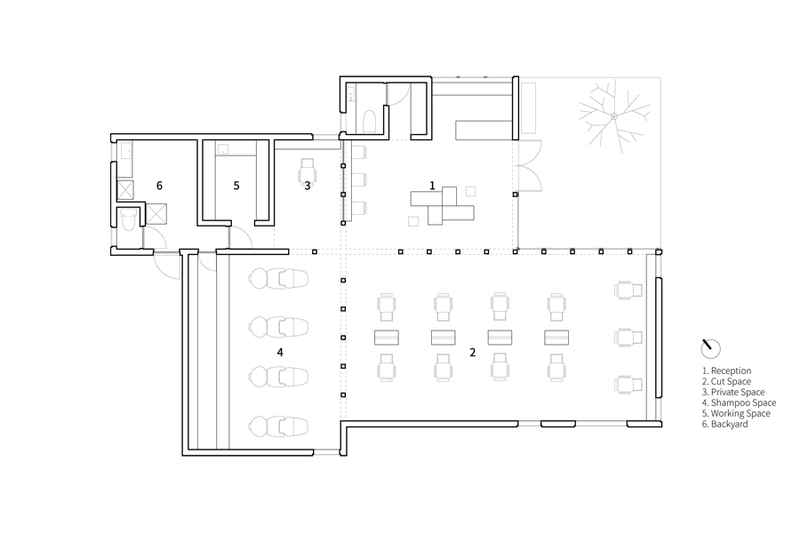 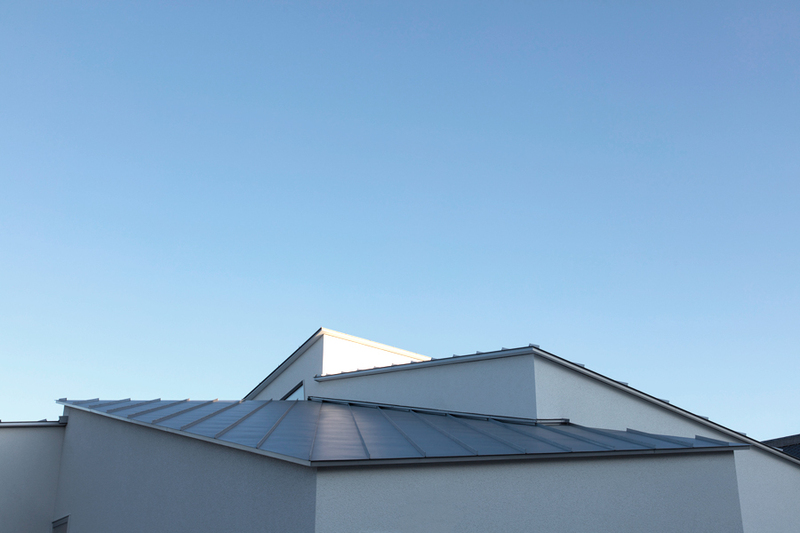 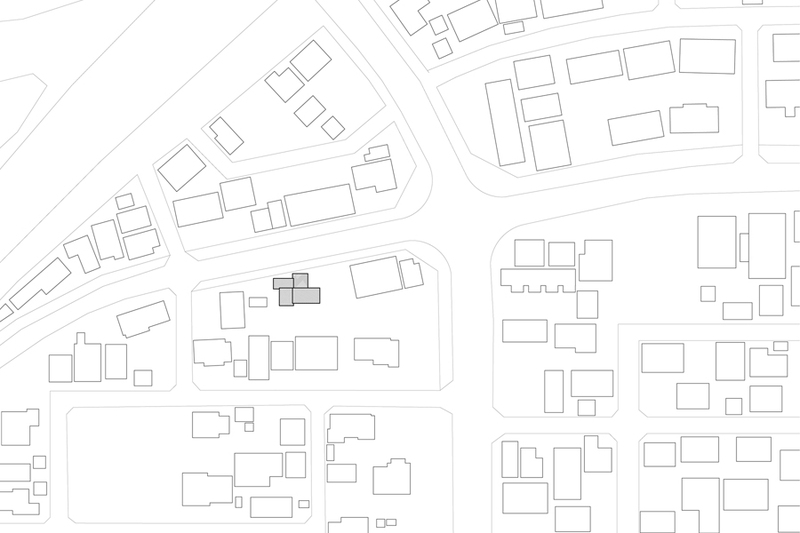 The building is composed of 4 volumes placed like windmill figure with various roof heights and diagonal roof pitches. 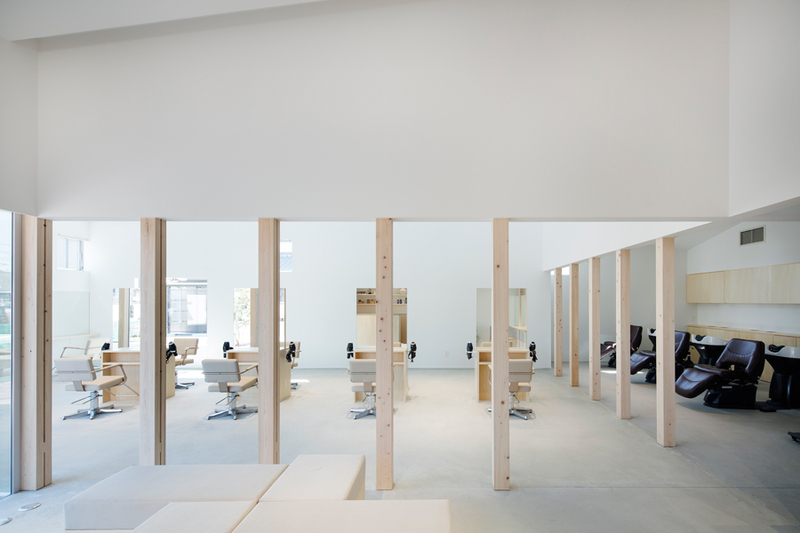 Each volume contains reception, cut space, shampoo space, and private space. 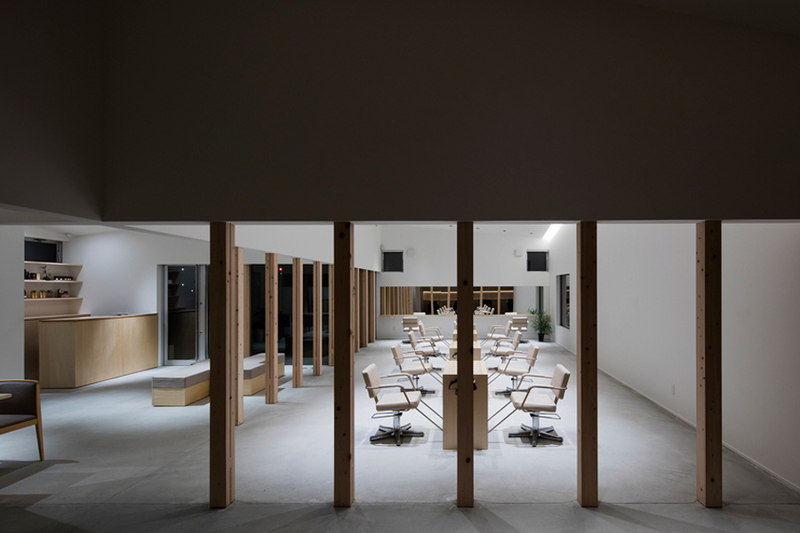 Each space is directory connected through Cyprus colonnades (18 columns are placed repeatedly at 910mm pitch), which allow customers and workers move around smoothly. 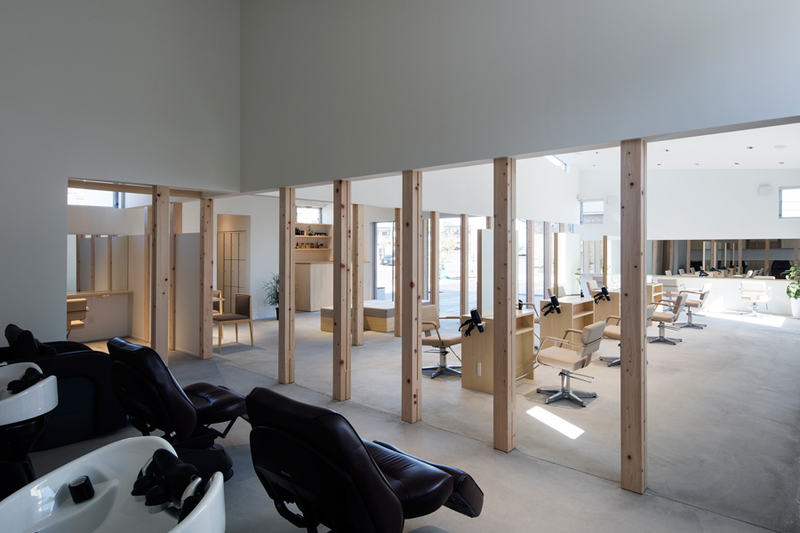 The colonnades also create ambiguous but seamless domains providing cozy private space like a house as well as hollow open space like a factory simultaneously. 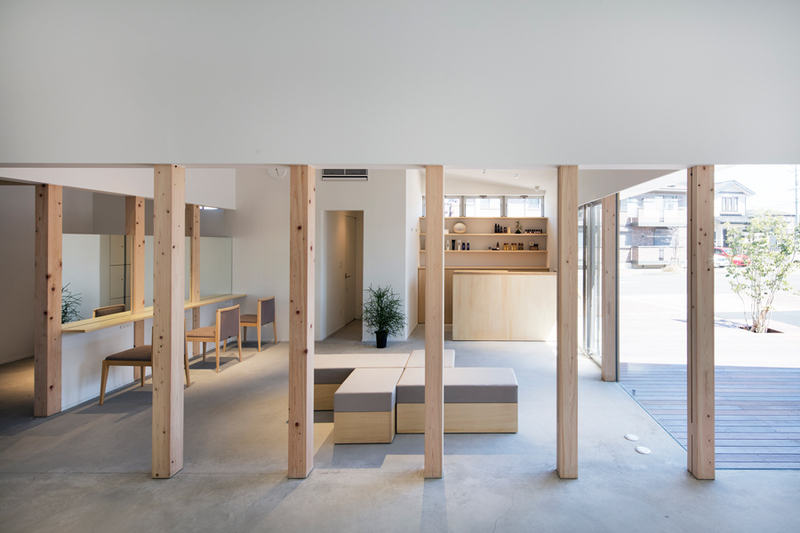 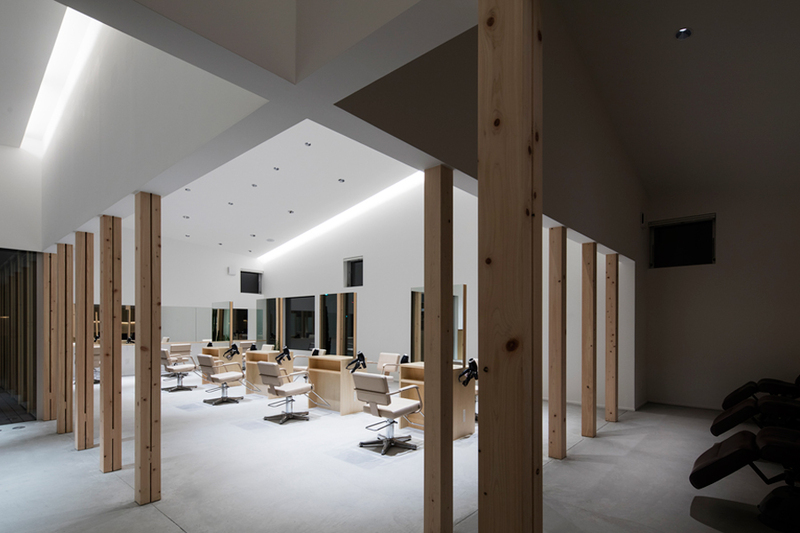 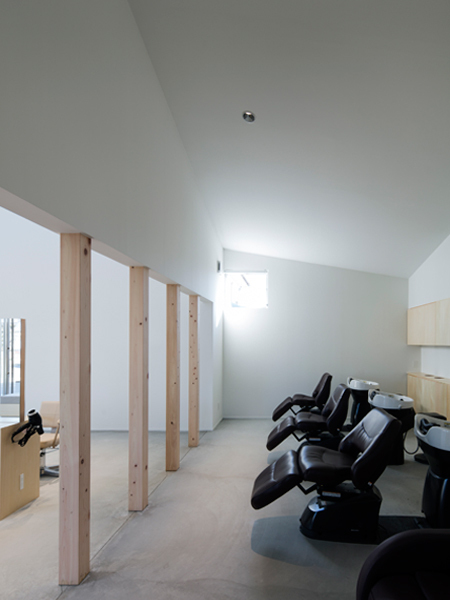 These opposite qualities create a unique blend into the salon as if you see in the cityscape as a communal identity of City of Yokkaichi.